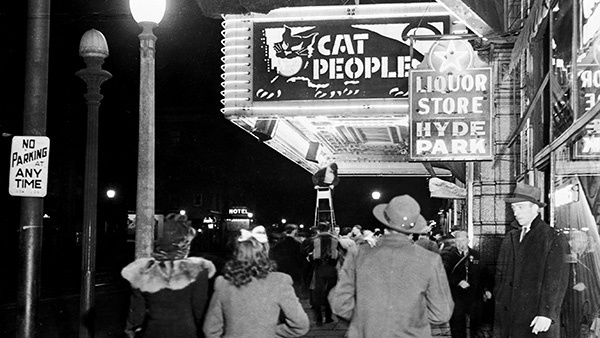 Jacques Tourneur and Val Lewton’s legendary partnership began in the mid-thirties at MGM under the supervision of David O. Selznick, but it wasn’t until the 1942 RKO film Cat People that their chemistry produced an original and highly influential aesthetic. 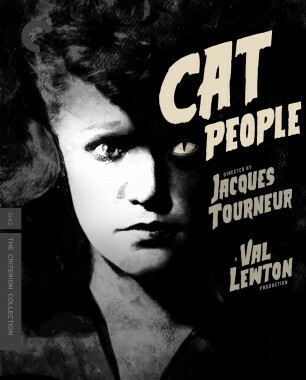 Based on a short story written by Lewton and published in 1930, this cult sensation stars Simone Simon as a Serbian émigré in Manhattan who fears that an ancient curse has doomed her to morph into a feline predator upon physical contact with her lover. Though made on a modest budget with sets left over from other RKO productions, including Orson Welles’s The Magnificent Ambersons, Cat People demonstrates the ingenuity and resourcefulness of two perfectly paired visionaries at the height of their creative powers. Our newly released edition of Cat People features an interview with Tourneur originally broadcast on French television in 1979. The following excerpt features the director discussing Lewton’s creative idealism and the impact it had on his own pragmatic sensibility. Below, Tourneur explains his view of cinema as escapism and his disdain for films that depict mundane reality.